As you probably know, leading scientist Malcolm Hughes held a press conference today to announce what could be a game-changing result in paleoclimatology. Hughes et al. have written up their findings in HBM2015, due out next month. Here’s what the lesser outlets are saying about it. The instantly-recognizable “hockey stick” graph made its debut in MBH’98, a seminal article by scientists Michael Mann, Raymond Bradley and Malcolm Hughes that has been plagued by suspicions of monkey business ever since its publication last century. It turns out jiggery-pokery isn’t even necessary to get “essentially” the correct, hoccobacilliform curve for historic temperatures, Dr Malcolm Hughes explained at a media conference today. That’s the take-home conclusion of a paper Hughes authored with colleagues Raymond Bradley and Michael Mann, which goes to print next month under the title Millennial Climate Reconstructions are Robust to the Addition or Removal of Shenanigans. After eliminating any disreputable or disingenuous steps involved in producing the original graph, said the authors, they found it was still possible to get “just about as good a hockey-stickish result as most recent studies”—all without straying an inch from accepted climatological practices. The finding is just the latest in almost two decades of independent vindications of the work of Mann, Bradley and Hughes in 1998. Lead author Hughes said he hopes the new facts will silence once and for all the ‘skeptics’ who allege—vocally if not outright vehemently—that the disturbing diagram presented in MBH’98 is necessarily the product of sleight of hand. But one coauthor, Dr Mann, failed to share his optimism. He interrupted Dr Hughes to say that in his experience deniers, as they’re technically known, seldom learn from their mistakes. A roomful of journalists tittered in sympathy. Today’s revelation won’t be official until it comes out in November’s issue of Sap (the journal widely considered the Bible of dendroclimatology). Because of the extraordinary public interest in the findings, however—a function of the sheer urgency of the climate issue in general—the researchers decided it was unethical to wait. This morning’s media event was their way of giving the world as much notice as possible, as far away as possible from the noisy scrutiny of self-appointed literary critics. Science-by-press-release is frowned on in normal fields of inquiry, but such are the existential ramifications of global warming theory—and the toxic counterarguments of its doubters—that the practice has increasingly become a necessary evil for climate scientists. Which doesn’t mean they have to like it. Hughes, Bradley and Mann weren’t entirely comfortable with today’s publicity, and it showed. Throughout their remarks they had the resentful, almost haughty bearing of pure intellectuals dragged into the political spotlight against their will. We’d rather be in the lab—said their petulant mien—enriching human knowledge by discovering the next killer argument against hockey-stick denial. One of the two non-lead authors of HBM2015; probably Raymond S. “Ray” Bradley, Distinguished Professor in the Department of Geosciences at the University of Massachusetts Amherst. Hockey sticks seem to be popping up everywhere! publicly thanking denier bloggers for drawing their attention to retraction-worthy problems. The upcoming article is important because, for the first time, it specifically examines the effects of omitting dodginess from the mix. Science-watchers are often struck by the sheer willingness of Nature (the universe, not the journal) to unveil her sacred, hockey-stick curves to just about any paleoclimatologist in Distinguished Professor Mann’s Facebook friends list, even if he or she forgets one or two steps of the scientific method. Skeptical bloggers, though, are less impressed. Some are asking if the paper’s authors are too close to Mann, Bradley and Hughes, the team behind the original hockey stick. Hughes, Bradley and Mann waved the insinuation aside with contempt. 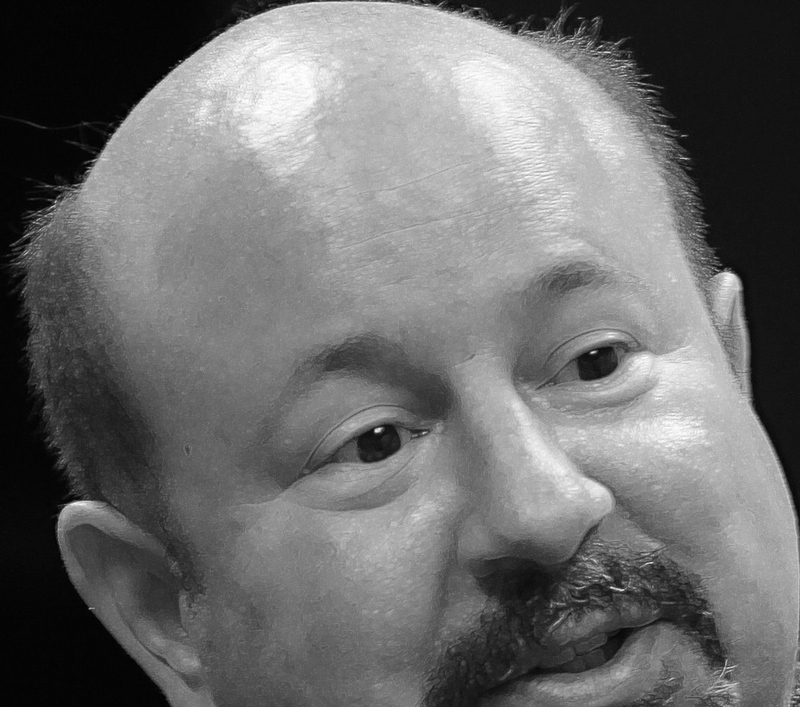 “To intimate that three reputable scientists would ask three equally respected colleagues to falsify data—just to corroborate a 17-year-old paper we’ve all moved on from!—is paranoid ideation of the most childish kind,” said Michael Mann, estimating that such a plot would encompass as many as three different people. Fellow ‘Hockey Team’ members Hughes and Bradley murmured in agreement. The study takes an ingenious approach to the decades-old mystery of whether skeptics might have a point, its authors told the international scientific press at a standing-room-only event today. “If you still feel some burning psychological need to know what it looks like,” said Hughes, rolling his eyes, “and are prepared to do the legwork, you’re free to make your own graph. We put enough hints in the paper for someone with a working competence in the field to guess how we did it. A lively question-and-answer session followed the announcement. For security reasons the questions were checked, approved and written by the scientists themselves. This entry was posted in Uncategorized and tagged Hockey Stick, Michael Mann on September 29, 2015 by Brad Keyes. At least as brilliant as the Nobel committee’s decision to award Barack Hussein Obama the Nobel Peace Prize, and the UN to appoint Saudi Arabia chair of the human rights council. I share your admiration for Mann who can sue anything that moves. Bradley and Hughes couldn’t even sue theirr own grandparents. Mann has sued his eldest child (for ruining his mother’s figure) coming out with a massive payout. He then tried to sue himself for making himself look stupid. The case is still pending but legal counsel advise that he may win again. The Hockey stick is evidently a basic form in Nature (the magazine and the universe alike), like spirals, the golden section, all the geometric figures you can get from the conic sections, like circles, parabolas and hyperbolas. In fact you can even get a hockey stick from a cone if you are careful enough and twist the knife a little – maybe more like a field hockey club, but none the less. A tulip in a vase will express it spontaneously after a while. Sad or tired persons demonstrate it in their standing posture, likewise when they are showing shame and regret. For a moment I saw a deep meaning in that, but unfortunately enough I can’t recall the chain of thoughts that led me to it. All the confusion about the phony global warming, was created long, long time ago. Failed geologist, that were not able to get themselves job in the mining industry did it, it wasn’t the butler who did it…! Example #1: all extinctions were pinned on global warmings / coolings and comets hitting the earth. The truth: most viruses are smart and leave 10-60% of the host alive, so that the virus can survive, BUT: some viruses were stupid – easy to spread, were killing every host – wasn’t any immunisation invented => host left only fossilized bones to be found, virus extinct; or other animals invented immunity for it and the virus survived – probably now that virus is harmless nuisance as flue virus or similar. But for shionks that; every summer is global warming / every winter global cooling; is handy to blame the ”global” temperature for every extinction…?! Example #2: alluvial deposits in Colorado canyon are as pages in a book; can tell the past very accurately: bigger gravel deposit = it was more rain – only fine dirt deposits are proof of not much rain, BUT: that doesn’t say even for Colorado state – it only tells about the rainfall of upstream the river catchment, full stop – definitely not about the whole planet!!! b] maybe was a wet year, OR: on 29 of February was lots of rain, rain melted the snow and the water from both created very big flood, then for the rest of the year was dry / no rain… for the shonks that’s irrelevant…?! c] then another shonky geologist finds same imprint in Mongolia, just a coincident – if it wasn’t exactly – he forced it to fit (same as you forcing your sock on a horse’s foot, for money and publicity, you can do it) That double proof cements the knowledge, goes in education books, it’s final proof… The question is: –”if there isn’t SAME imprints on all the other lands between Colorado and Mongolia, were all those lands on another planet at that time?”! That question was never asked, why not? a] more rain doesn’t mean ”warmer year” b] simultaneously floods and droughts happens on many places, all the time, the planet is a big place! Example #4: in a cave the shonk vandalizes the best stalagmite; cuts it and analyses the rings of calcium: thicker ring for him represents wetter year, WOW! It’s thicker ring because a herbivore animal drops something above, in the poo from the grass is ”extra calcium’‘ – another time a snail died above – from snail’s shell the calcium leached down and made bigger ring on that stalagmite; but that was declared instead as:7200 years ago was warmer by 2C, the WHOLE planet! One dead snail increased the temp on the whole planet, from Africa to Antarctic… reason: because somebody didn’t get into that cave and braked the shonk’s arm, for vandalizing the beautiful stalagmite, BECAUSE: if that stalagmite was able to tell the temp above on the surface -wouldn’t be 30 ALL different shapes and sizes stalagmites in 10m radius in the cave! Was it 30 different climates simultaneously in the 10m radius above the cave, so every stalagmite is different; YOU tell me! ”Predicting” weather / climate was the oldest profession – NO, prostitution was the second oldest. (from prostitution you get less rip-off, and at least you get something for your money AND they are much more reliable than ”climate experts”) Regarding CO2, there are two versions #1: CO2 makes dimming defect – was used in the 70’s; that: because of CO2 dimming effect we’ll get ice age by year 2000. #2: the contemporary misleading effect is: because CO2 prevents heat to be ”radiated” to out in space, we’ll get global warming…?! (that version was used few times for the last 150years that was THE GRANDMOTHER OF ALL LIES! Pedophiles destroy the minds of 2-3 kids – the Warmist psychopaths are destroying the minds of over 100 million western children = Warmistas are 1000 worse than all the pedophiles on the planet combined!! !